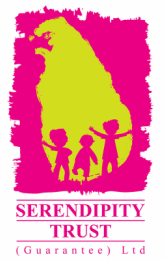 In response to a special request from the Zonal Education Office (Galle) the Serendipity Trust was delighted to offer a Teacher Training Workshop for Teachers at our May Galle Children's Festival. This opportunity was available to all teachers who attended the Galle Children's Festival and was later opened up for teachers from other Galle schools. The Sunday Times Newspaper, as part of its ‘ST in Education’ program, conducted this special workshop – ‘Newspapers in the Classroom’ in Galle as part of the Galle Children’s Festival on Saturday 31st May 2014 at Suddharma College. This program encouraged the habit of reading and also encouraged teachers to consider using the newspaper as a resource for teaching in the classroom. 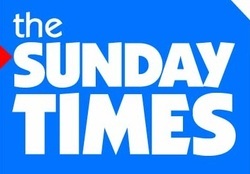 This workshop was presented by the Sunday Times Newspaper in Association with the World Association of Newspapers and News Publishers (WAN IFRA). The workshop was facilitated by Gerard van der Weijden, a Belgian expert on young reader initiatives who is also a consultant for the World Association of Newspapers and News Publishers (WAN IFRA). We’ve heard so much about the importance of young people reading newspapers but how important is it for students? First of all the newspapers need new and young readers to survive. Apart from that, all research worldwide shows that young people who are regular newspaper readers score higher in school results. Not only in languages, but also for economics, geography, sociology etc. Also they score better marks for school activities like classroom speeches, papers, extra curricular assignments, writing letters, confidence in doing presentations etc. - How is that achieved through using newspapers in the classroom? Not only are readers confronted more often with useful knowledge but the reading of newspapers will also give youngsters an opportunity to put all this knowledge into perspective, making the news and information that they derive from the paper relevant. Also most educational systems put a lot of emphasis on knowledge with very little eye for utilization. Students learn in school about the specific gravity of water. But when youngsters are asked worldwide “what weighs more: one litre of full fat milk or one litre of skimmed milk?” the majority answers that they weigh the same because both quantities are one litre. The right answer though is that the full fat milk weighs less since the specific gravity of fat is less than the specific gravity of water ( that is why fat floats on the top). Newspaper reading allows youngsters to gradually learn about their preferences about their personal and professional future: what professions are in demand, how much money would be spent on shopping ? What is a democracy etc. And finally newspaper reading also promotes the family culture of reading and discussing things with each other. - What do you mean by family reading? The family is the key catalyst to encouraging youngsters to read or not to read, far more than the school! For family reading to take place there should be two main elements. Firstly, the family must understand, especially the parents – why reading is so important: students reading the newspaper get better school results, and it prepares their children for their professional and personal future! And secondly, if the newspaper offers opportunities such as activities whereby the whole family can be involved it makes it easier to engage the whole unit. If the parents could make their children read a newspaper for two months, every day for ten minutes they will spot an amazing difference. Their knowledge will improve, there will be better communication within the family, less appeal for TV, better school results. - How important or relevant are newspapers to schoolchildren in this age of technology when smart phone and the web are where we turn to for information? Yes information comes from everywhere but it is a misconception that most people and especially youngsters get their information from the web or online. We see that that media is used a lot for entertainment and edutainment. - A word of advice to parents looking to encourage newspaper reading We talked a lot about newspapers, so let me round off with TV. Switch off all TVs in the house while children are doing their homework and do not allow your children to watch TV two hours before bedtime. Keep this up also for two months and again you will see significant and positive differences. Better sleeping, better school results and a better mood for study. - Any ideas for teachers on using newspapers in schools? When you offer school activities using the newspapers, two key factors should be considered: the activity should be focused on newspaper READING and connected with the school curriculum. A good example would be to organize on a daily or weekly basis a news quiz for students. Just make sure the questions are connected with the school programs of, say, social science, economics, geography, history etc.